Welcome to J&L Gardens, an independent breeding and research farm for tomatoes and other vegetables. From the revolutionary Ambrosia line of cherry tomatoes to our latest artisan crosses with wild species we strive to bring the most flavorful and productive varieties to the market and to your garden. This season we have added unusual tomatoes from around the world, unique peppers, corns, and new crosses of old favorites you will enjoy growing and sharing. A garden and home-grown fruit and vegetables are a joy in good times and a necessity in hard times. Click 'J&L Heritage' to explore our new catalog. J&L is home to over 500 varieties of tomatoes and rare vegetables from our rich heritage of heirloom and open pollinated types. For 27 years we have farmed in the fertile upper Rio Grande river valley near Espanola, New Mexico. In addition to tomatoes, we take melons and cucumbers, apples and other fruits , along with specialty potatoes and garlic to farmer's markets in Santa Fe and Los Alamos and provide produce to local restaurants. All our garden vegetables and fruit are raised using traditional, natural methods. We are opposed to GMO. 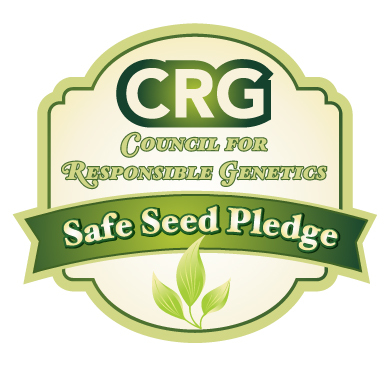 We have taken the Safe Seeds Pledge and believe that sustainable farming and respecting and restoring the natural world is the only path forward. Winter is finally here with the first snow of the season reaching us in the valley. It was a tough, dry year. Because of the drought, we planted only a third of what we usually have under cultivation. Still, we raised about 140 varieties of tomatoes along with numerous hot peppers, beans, and new types of corn. More news from the farm..